Bring your clean plastic beverage bottles for recycling. Bring your #1 plastic beverage bottles and other plastic items (numbered 1, 2, 4 or 5) for recycling. 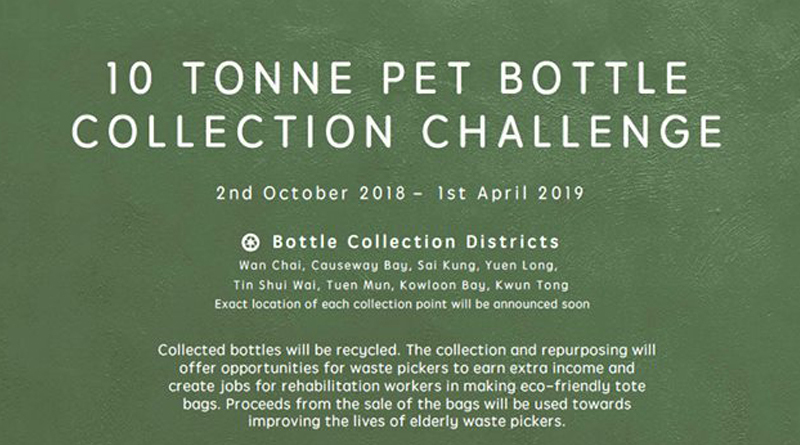 The One Tonne Challenge aims to collect over 10 tonnes of PET (polyethene terephthalate) type 1 plastic. 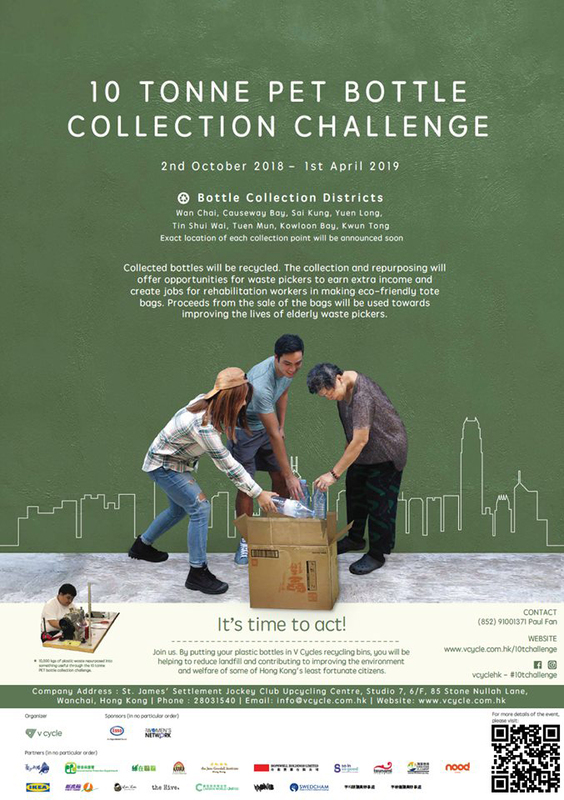 The collected plastic will be recycled into tote bags providing extra income for waste pickers and creating sewing jobs for rehabilitation participants with proceeds from the sales of the bags going towards improving the lives of waste pickers. The program includes environmental education and visits to assist waste pickers with the aim of promoting ecological conservation while assisting some of Hong Kong’s least fortunate citizens. Join HK heartbeat and be the change … naturally.